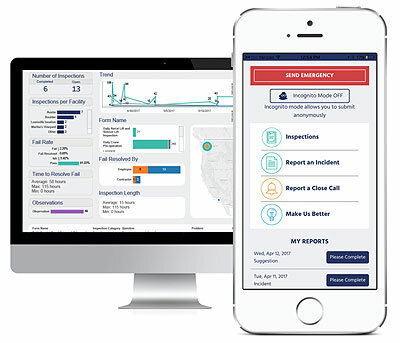 Fast and simple mobile application allows plant personnel to quickly and easily report workplace incidents in real time. Take pictures, add details. No forms, no clipboards. Create and use custom inspection/audit forms and assign tasks on any mobile device or computer. Monitor through portal software for easy issue resolution. Complete reports, open investigations and generate regulatory reporting. The portal allows you to reduce data entry, time and paperwork. "Unlike many enterprise level software systems, Sospes is a dream to implement"
Contact us today for a consultation. Sospes is software as a service, and provided on a per-user basis. You can customize it and integrate with your HR systems or other enterprise software.